Sullivan's Garage, Your Early Ford and Street Rod Store! I have been buying , selling and building old Ford's and Hot Rods for 25 Years and working on a 1935, 3W Ford right now! I stock parts from some of the industries best like, Bob Drake, Vintique. Dale's, Specialized, Jen E. Lincoln, and about 25 other manufacturers. Over 3000 parts on the shelf, and we ship worldwide. We offer parts for: THE MODEL T, MODEL A'S, EARLY V8'S, FORD TRUCKS, STREET RODS, AND AND EXPANDING LINE OF "RAT ROD" PARTS. 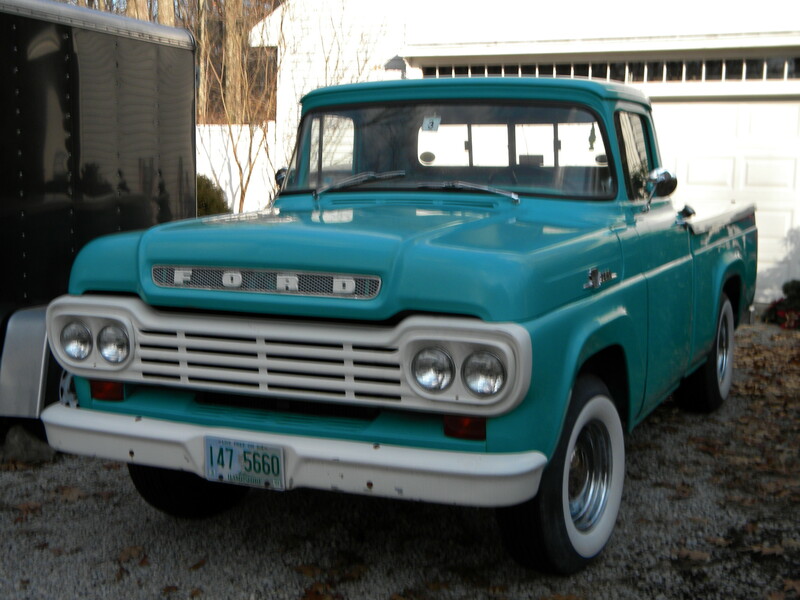 As a matter of fact, we are driving a 54 Rat Rod f100 right now! Haven't heard of us before? Well we have shipped over 45,000 orders the last few years, we advertise in Hemmings Motor News, Rat Rod Magazine, and Old Car Weekly, as well as other local publications. My objective is to provide fast, friendly service, help in anyway I can, and offer the BEST pricing of any Ford/Street Rod Parts Store. If you have a real large order, feel free to drop me an e/mail with the parts you need and let me see if I can do even a little better on a price for you. I know how expensive it is to build and restore these cars, so I am happy to help where I can. Thanks for cruising by, and let me know if I can help you in any way. PHOTO OF MY 35 FORD UNDER WAY. My car...but not my shop, mine isn't quite that bad!